Whatever the issue, an out of commission vehicle is stressful. 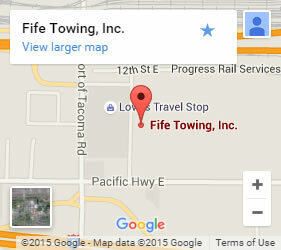 Fife Service & Towing is here to help! 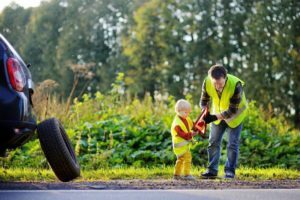 We have over 65 years of experience with roadside assistance in Bonney Lake, WA and the surrounding areas. We know how to get you back on the road or safely towed. Whether you have a flat tire or your car won’t start, it never happens at a convenient time. Our dispatchers are here for you 24 hours a day, 7 days a week. If your vehicle is stuck, we can help. Stay safe with fast and reliable roadside service. When you are stranded, you need someone who can get there fast! We know the best route to get to you quickly. Our dispatchers and drivers are very familiar with the area. Even if you do not know the exact street you’re on, our team will ask the appropriate questions and work together to locate you fast. Working on your vehicle by yourself on the side of the road is dangerous. Our professionals come to your aid equipped with the tools that get the job done while keeping you and your vehicle safe. We bring relief for you, not just your vehicle. We understand that you may need water, a coat or blanket if it’s cold out, etc. Let our dispatcher know if there is anything we can bring to make you more comfortable. We have built a reputation on treating our customers like they’re our best friend or family member. We treat your situation with the respect and sense of urgency it deserves. Long waits are dangerous for you and your vehicle. Prevent loss by calling us first! We will be there when you need to get rolling again or to get you safely out of harm’s way. Upon our arrival, you are greeted with a smile and a sense of relief. Our professionals will assess the situation then discuss the best plan of action with you. Our certified, well trained and experienced drivers always treat your vehicle like it’s their own. You will be happy you went with a company who has an unparalleled reputation in customer service and 65 years of experience in the industry. 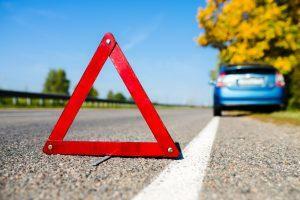 Contact us today for your emergency roadside assistance needs. Our friendly dispatchers, and experienced drivers are just a phone call away and ready to assist you now!